A lot of people are actually asking the same question: what to do if iTunes won’t play videos? You need some suggestions about purchased iTunes movie won’t play on your computer! It happens sometimes that iTunes not playing movies. We listed below different methods to help with that issues. One of the most common problems in iTunes is those movies and videos won’t play properly. Some misoperations or software bugs would result in errors. You can follow the guide and do the troubleshooting step by step and fix the problem of the movie won’t play on iTunes. Method 1: Turn to the Miniplayer window. Program malfunction may be to blame for iTunes won’t play movie as usual.Try to play the movie on Miniplayer. Choose the “View – Show MiniPlayer” in iTunes or use keyboard shortcuts “Ctrl+Shift+1” to activate the Miniplayer mode. If iTunes rented movie won’t play on Miniplayer window too, some components might stop running in iTunes/QuickTime. Quit the program and try to play the video again. Get to the next step if it still not working. 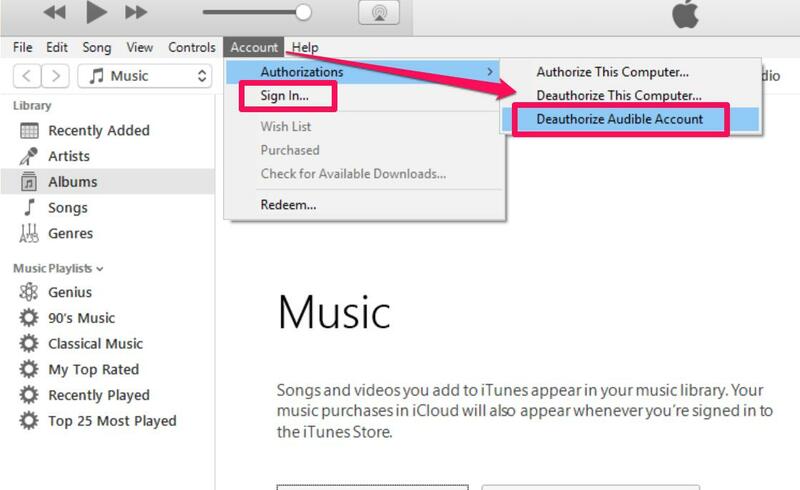 Method 3: Deauthorize and then re-authorize iTunes account. Account error could also be the cause of playback issue that your rented iTunes movie won’t play on iTunes. Click on “Account – Authorizations – Deauthorize Audible Account” And then “Sign in” again. Retest the movie and check if it works. Method 4: Update software like iTunes, QuickTime player. If your software are out of date, iTunes movie not playing properly. 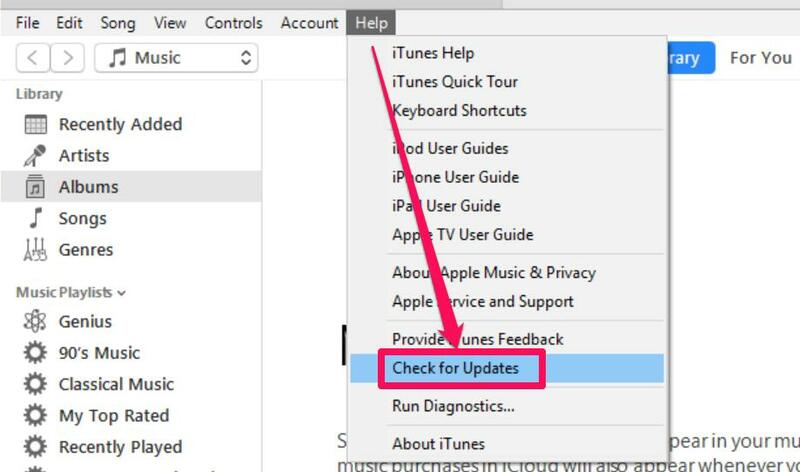 Choose “Help – Check for update” in iTunes and install the latest version. The update button on QuickTime is similar to iTunes. Click “Help – Update Existing Software” and download the latest QuickTime player on your PC. When all the above steps have been done but iTunes movie rental won’t play still, Windows system exceptions may led to playback errors. Try to reboot your computer and let all the program to redeploy again. iTunes movie doesn’t play your rental/purchase movies even you have tried all the ways on it. You should start to think about the movie format and an a better video player alternative. Method 1: Convert movies to M4V or MOV. The best formats to be played on iTunes/QuickTime are M4V & MOV. Leawo Prof. Media will be your best tool to help with the format conversion. iTunes movie won’t play probably caused by formatting. Run Leawo Prof. Media and start to convert the movies to the iTunes/QuickTime – compatible format. 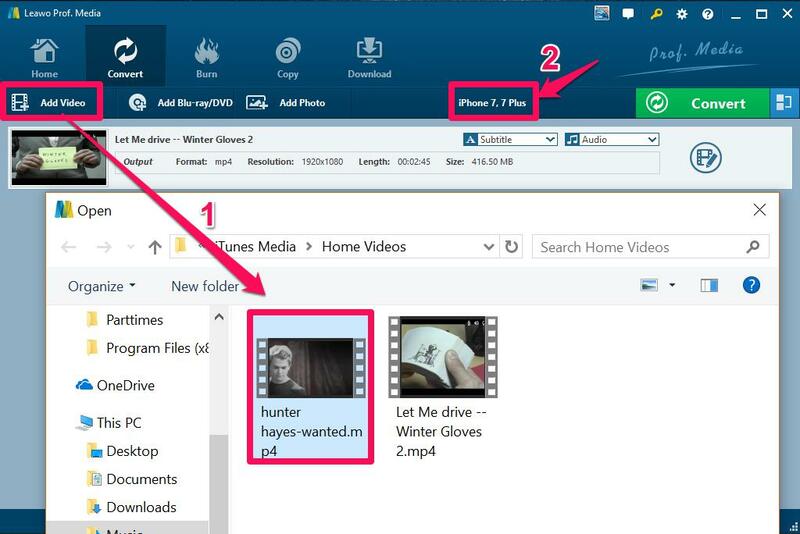 Open your iTunes Library and open the movie location: right click on the video and choose “Show in Windows Explorer“. 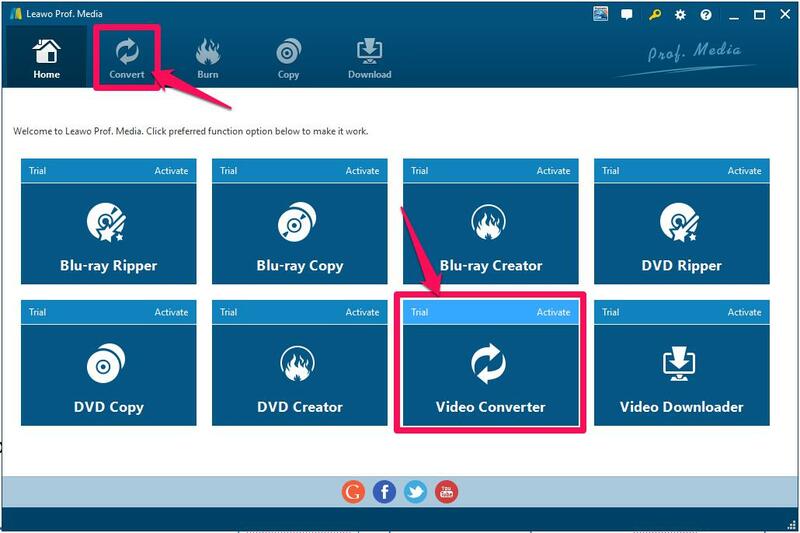 Open Leawo Prof. Media and go to Video Converter: You can also click the “Convert” icon to go to the module. 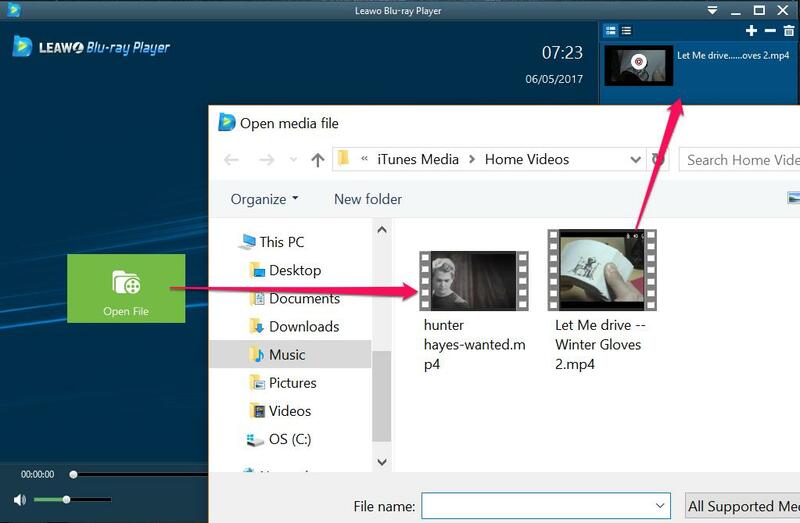 Add your videos in the Converter Windows: By clicking on the “Add Video” or dragging the file to the panel directly, videos will be added. Click on the Area 2 to choose the target format. Leawo Prof. Media has user-friendly interface and powerful features, you can choose the target formats according to different classification criteria. You can search by keywords or even choose your media devices directly to get the correct format. 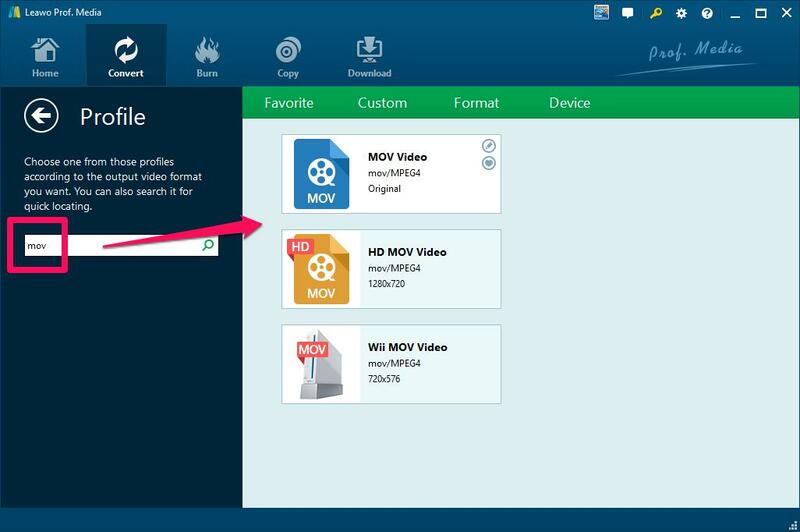 Confirm and convert the movies to M4V or MOV: After finish choosing the format type, click on the green “Convert” button and locate the export folder for the converted target files. Click the white “Convert” below and it will start converting. Play your M4V/MOV movies on iTunes/QuickTime again. Method 2: Turn to iTunes/QuickTime player alternative. Do not feel like convert movies every time before you are able to enjoy them on iTunes or QuickTime? Download a free powerful media player as the iTunes/QuickTime alternative! Leawo Free Blu-ray Player Leawo Blu-ray Player contains all media playback solutions you need for your leisure entertainment. It is a Blu-ray player to play back many kinds of videos for totally free. You just need to click on the green button to open your converted videos, they will be listed on the playlist and start to play immediately. There are many reasons for iTunes rental/purchase movie won’t play. Troubleshot the iTunes and QuickTime layer upon layer then you can find the way out. Leawo Prof. Media and Leawo Blu-ray Player gives you the fastest solutions to solve the palyback problem. Download Leawo product and get the optimum experience now.